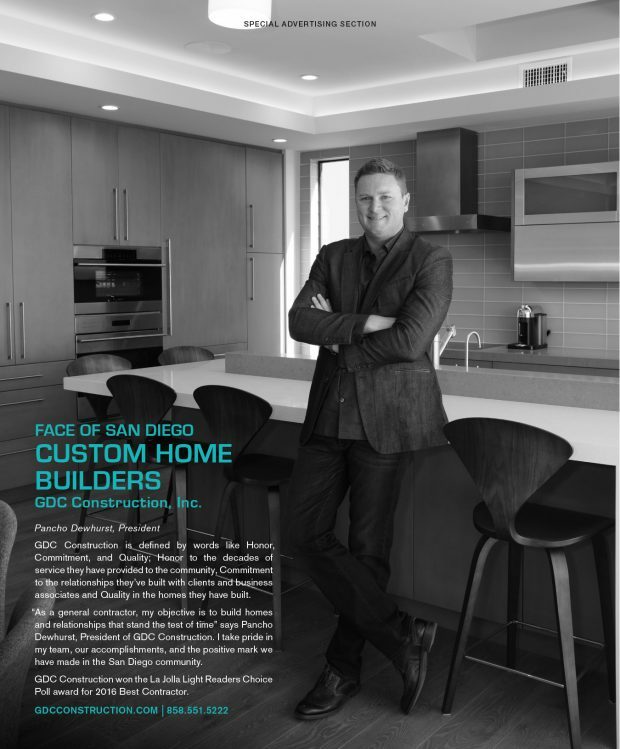 Faces of San Diego - GDC Construction, Inc.
San Diego Home/Garden Lifestyles’ “Faces of San Diego” was designed to introduce our readers to the successful individuals behind the local businesses they frequent. 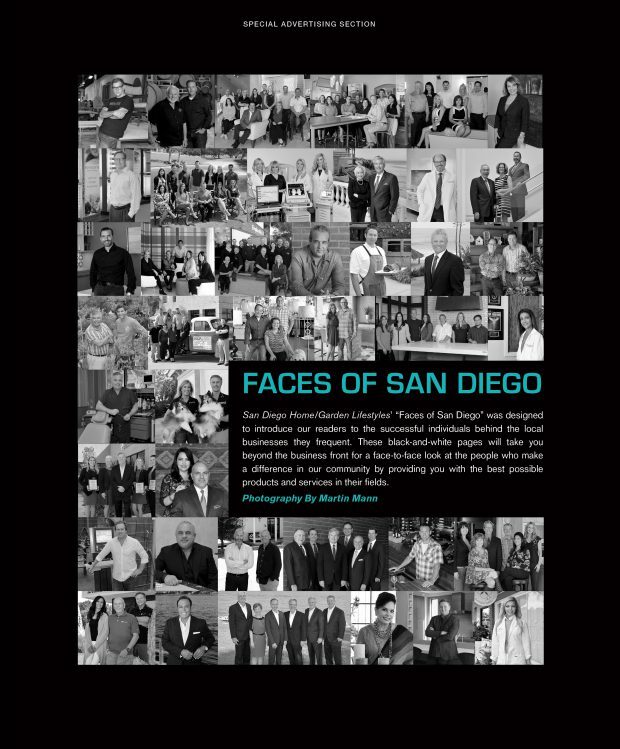 These black-and-white pages will take you beyond the business front for a face-to-face look at the people who make a difference in our community by providing you with the best possible products and services in their fields. GDC Construction is defined by words like Honor, Commitment, and Quality; Honor to the decades of service they have provided to the community, Commitment to the relationships they’ve built with clients and business associates and Quality in the homes they have built. “As a general contractor, my objective is to build homes and relationships that stand the test of time” says Pancho Dewhurst, President of GDC Construction. I take pride in my team, our accomplishments, and the positive mark we have made in the San Diego community. GDC Construction won the La Jolla Light Readers Choice Poll award for 2016 Best Contractor.